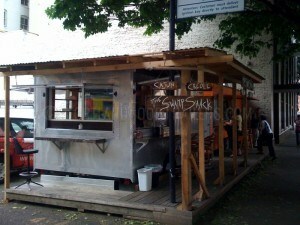 Food Trailer/Food Cart for Sale in Portland Oregon. Mobile Kitchen on Wheels ready to go anywhere. Full Restaurant kitchen set up. Catering Food Cart.